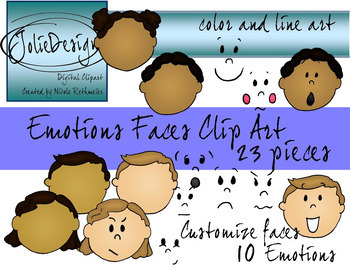 Make customized teaching resources with this social-emotional clip art set. 3 different skin tones, boy and girl. 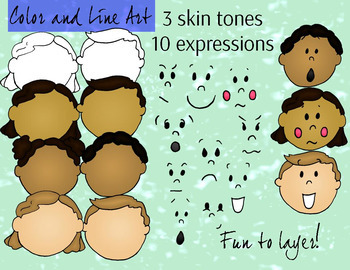 10 different emotions in facial expressions to layer on top of the blank heads.